In recent years, the rapid development of science and technology has promoted social progress greatly and brought much convenience to our lives. In the field of protection, all kinds of protection products are constantly upgraded. The development and application of new materials have greatly improved the protective capability and comfort of all kinds of protection products, which has brought great impact on our lives. As we mentioned earlier, none of protective product can withstand any attack, and not all sharp objects can be resisted by stab proof vests. Stab-proof vests are all made of Kevlar, but it is essentially different from the bulletproof vests made of Kevlar. Neither stab-proof vests nor bulletproof vests can guarantee a 100% resistance to sharp objects. How many protection levels of stab proof vests are there? And what is the classification criteria? 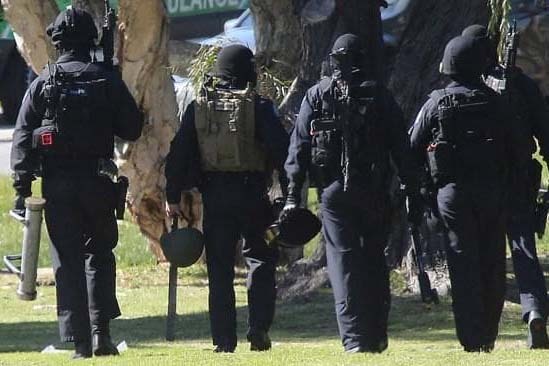 According to the threats, stab proof vests can be divided into two types, each of which has three protection levels, NIJ I, NIJ II and NIJ III. The protection level means the enough energy for resisting penetration. NIJ I is the lowest one of those three levels; NIJ II stab proof vests are general protective vests which can provide a large protective area. NIJ II stab proof vests can provide a high level of protection against higher threats. According to threats they specific for, stab proof vests can be divided into two categories. One is designed to deal with the threat of cutting tools whose blades are very sharp after mechanical processing. This kind of cutting tools are named edged tool. The other is designed to resist the possible stabbing from criminals during their rehabilitation. These blades and pointed weapons are usually temporarily made of other materials with a relative blunt edge, and these weapons are usually known as spikes. 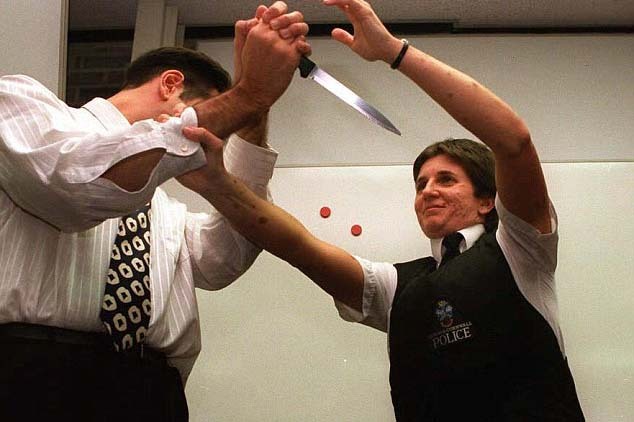 The stabbing test is necessary for making sure whether a stab proof vest has a given protection level. In the test, the blades and spikes are used to impact the vest at two different energy levels. The first energy level is "E1"，and at this energy level, the penetration of the blade or nail is allowed at a maximum value of 7 mm (0.28 inches), which is the allowed maximum penetration depth that will not threat wearer’s life according the research results. However, the actual test is required to be carried out under the condition of a higher puncture energy level, that is, the kinetic energy of the blade or nail is increased by 50%. This higher energy level is called "E2", and at this energy level, the penetration of the blade or nail is allowed at a maximum value of 20 mm (0.79 inches). Through this test, we can make sure that the vest can provide sufficient additional protection for us. NIJ I stab proof vests are specific for the lower threats with an impact energy less than 24J (17.7ft-1bf), whose texting high energy level is 36J (26.6ft-1bf). NIJ I stab proof vests are specific for the lower threats with an impact energy less than 33J (24.3ft-1bf), whose texting high energy level is 50J（36.9ft-1bf). NIJ I stab proof vests are specific for the lower threats with an impact energy less than 43J（31.7ft-1bf）, whose texting high energy level is65J（47.9ft-1bf). Above is all the clarification for Kevlar. If there are still some questions, welcome to contact us. If you want to buy bulletproof plates, welcome to contact us. Newtech has been long dedicated to the development and research of bulletproof equipment, we provide quality NIJ III PE Hard Armor Plates and NIJ IIIA vests, as well as many other products. When considering the purchase of protective products, you can visit the website of Newtech to find the best one for yourself.